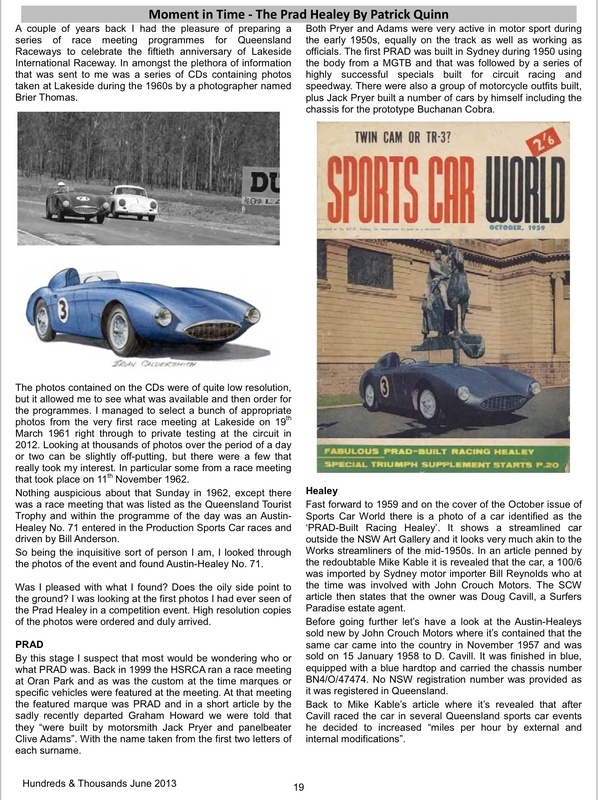 The car was a new one on me, quite a wild, fantastic looking machine, the modifications to the body were made by Jack Pryer and Clive Adams- the Prad boys in Sydney whilst the engine was breathed upon by racer/mechanic Bill Reynolds. Cavill- the Surfers Paradise ‘main drag’ Cavill Avenue was named after his father Jim Cavill- was a successful estate agent and had the readies to fund this interesting car. 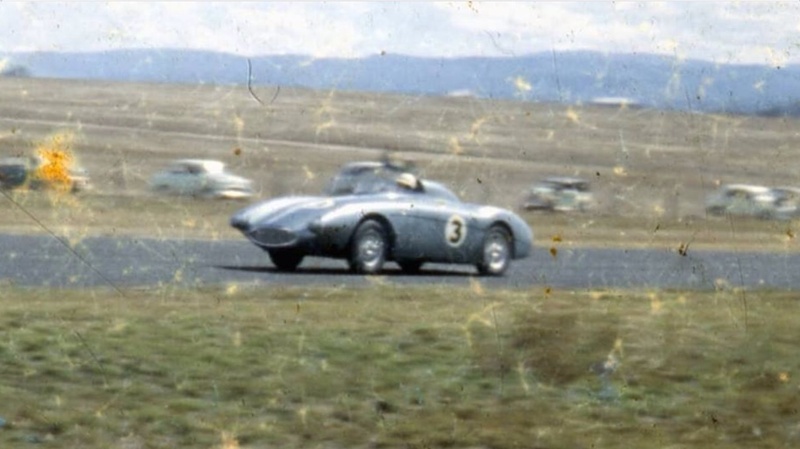 Quentin Miles has been progressively uploading some photographs taken by his late father on Bob Williamson’s ‘Old Motor Racing Photographs – Australia Facebook page- check it out, this is a beauty despite the ravages of time to the negative. 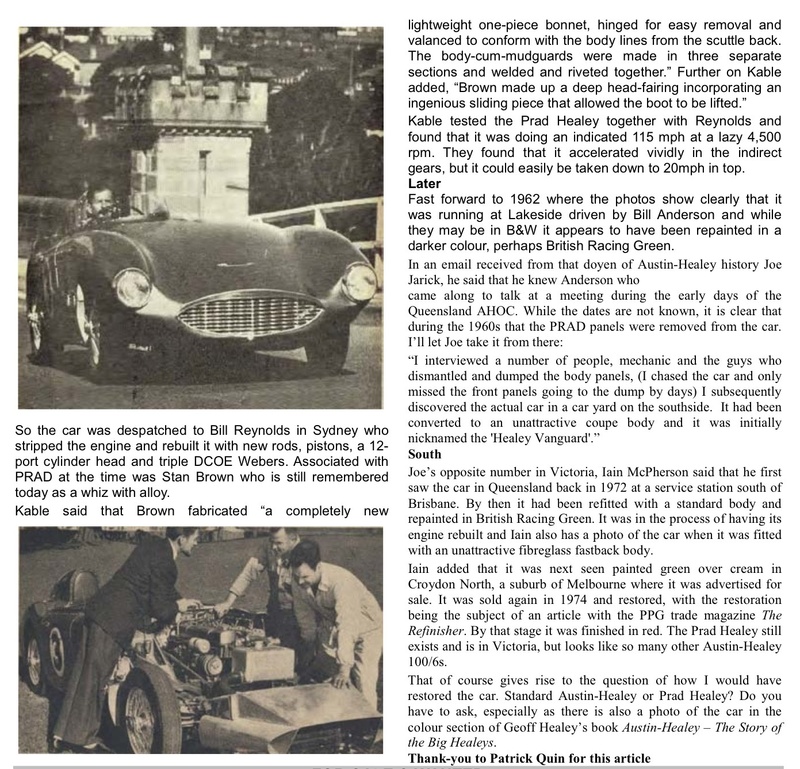 Patrick Quinn wrote an article about this interesting car published in the Victorian Austin Healey Owners Club magazine ‘Hundreds and Thousands’ in 2013 which is reproduced below. The ‘restoration’ of the car is a shame, tragic really.